On 26th September 2016, Gwen Richards was continuing the clean-up of a house on the Inverpark estate at Lochinver (NC0822) that she rents out. Some jobs are easier with an extra pair of hands, and I was helping out that day. During a break from our labours we noticed spiders hanging in tangled webs in the corners of the ceilings in some of the rooms. But these were not the usual run of house spiders (with which my own house is well endowed). They had enormously long legs, with dark joints, and cylindrical bodies up to 10mm long. 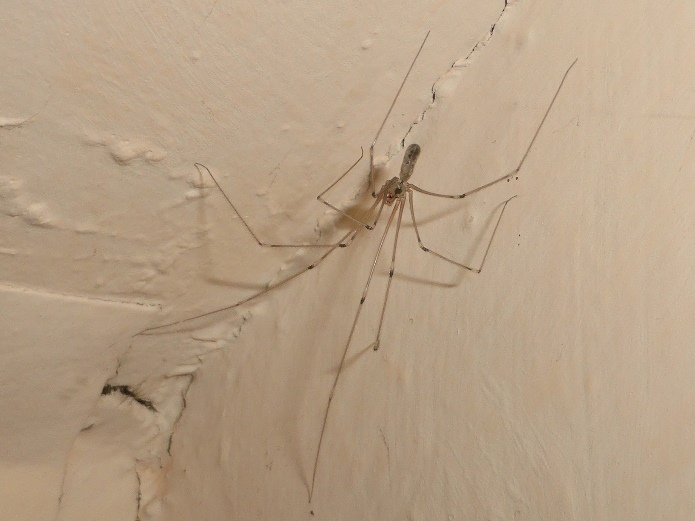 I was able to identify them on sight as daddy-long-legs spiders Pholcus phalangoides, a species that is found in this country ‘almost exclusively in buildings’, and then only ‘where the temperature throughout the year exceeds 50deg.F (10deg.C)’, to quote the web-site of the British Arachnological Society. A lot more were found in some walk-in cupboards in which furniture had been stored; they seem to be quite happy in almost complete darkness. 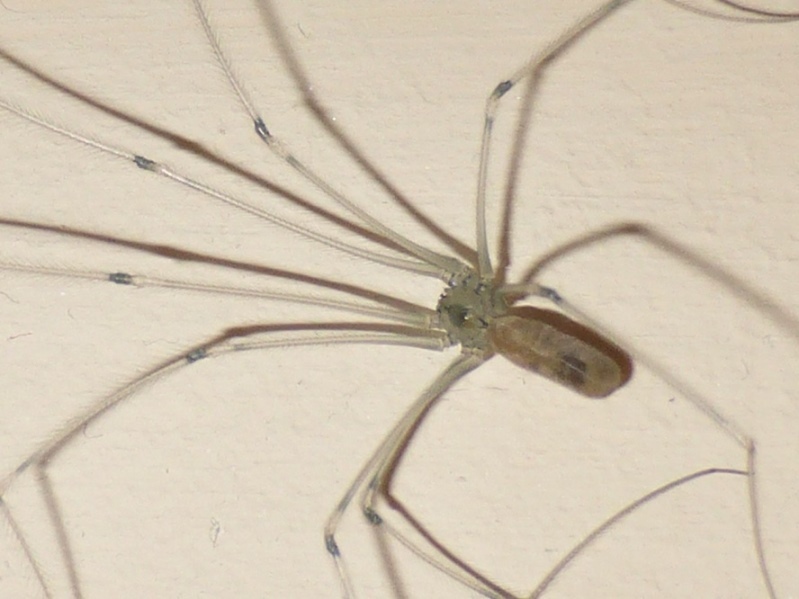 I have only once before come across this spider in Assynt and that was at Inverkirkaig (NC0719) in 2008, when they were thought to have been accidentally introduced, probably with furniture, from Yorkshire. The current distribution map on the BAS web-site (accessed 19.1.2017) shows only no other records in the Highlands north of a line from Ullapool to Tain, although the species is found in the Orkneys and Shetlands. 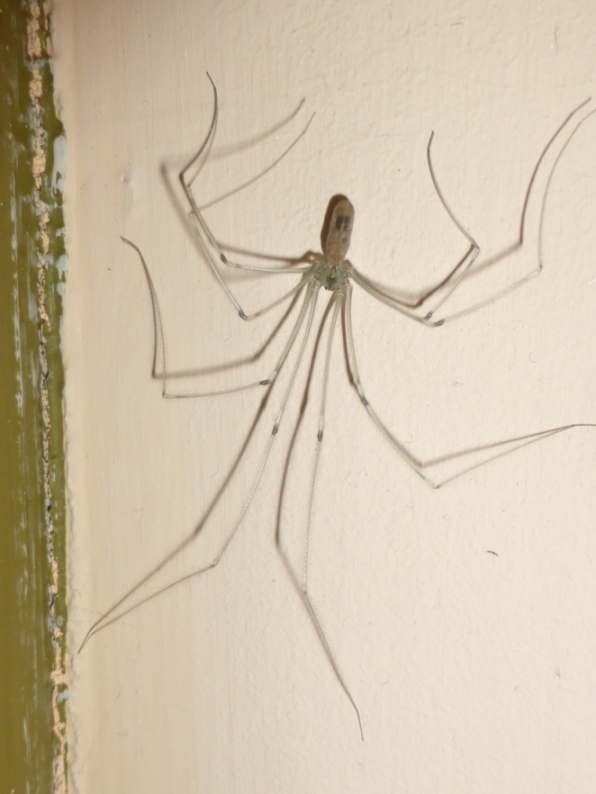 This species could go un-noticed in any house where the removal of cobwebs is not a priority and they may well occur across the Highlands, although perhaps only where furniture has been moved up from further south.